Written by saschwarz on Dec. 28, 2017 . Written by saschwarz on Dec. 17, 2017 . Written by saschwarz on Dec. 4, 2017 . 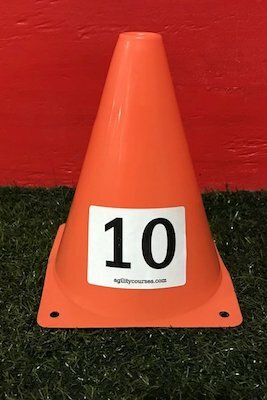 Want your own numbered cones at home or for your training place? Want to run courses up to 50 obstacles long? Would you like different colored numbers? 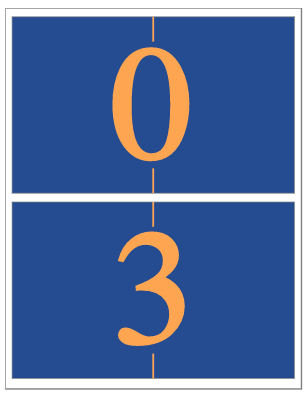 Or do you need to number combination obstacles with 'A', 'B', 'C' or even 'D'? Well now you can! Written by saschwarz on Nov. 22, 2017 . 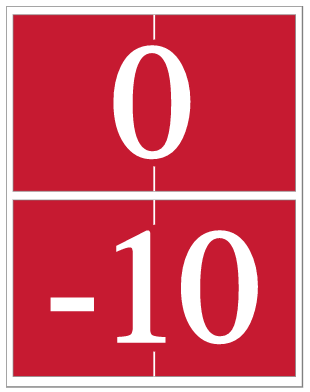 Whether you call them "numbers", "coordinates", "wall numbers", "grid numbers", "yard lines", or something else, having coordinates posted makes setting up courses easier. 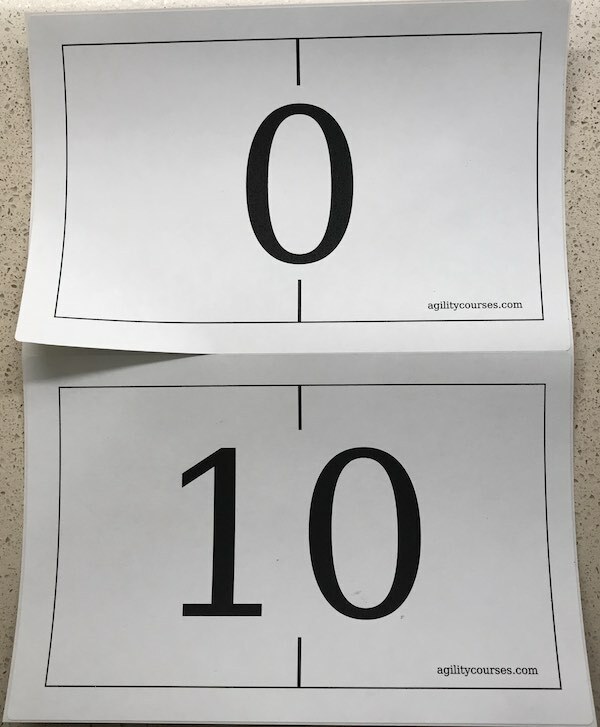 I've just added a new feature to the website to create big, easy to read, multi-color number sets you can download, print and put up in your facility. Written by saschwarz on June 5, 2016 . Four New Box Jump Layouts! Written by saschwarz on May 30, 2016 . I've added a new feature to make sharing individual Box layouts easier. Now that there are 18 different jump layouts(!) 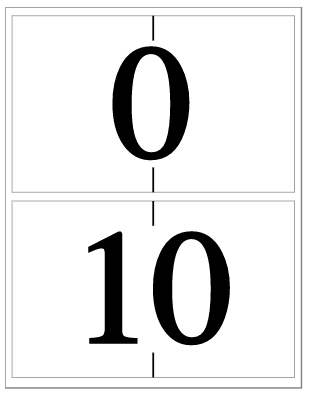 for each Box sequence I realized it can be hard to share a single sequence with your friends. Written by saschwarz on Nov. 28, 2015 . When I created this website I focused on making it work on mobile phones and tablets so you always had thousands of sequences right in your hand when you went to train. I also spent time making sure every page printed the sequences so they'd be readable. 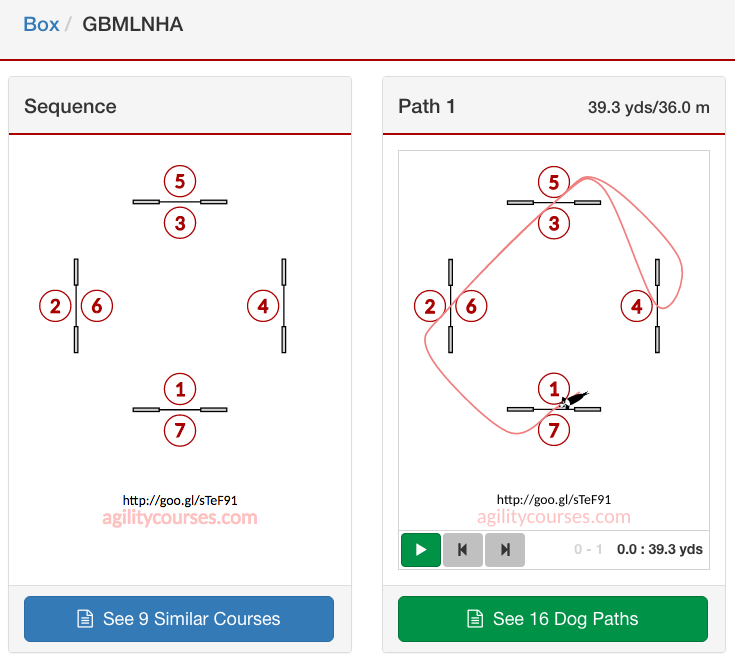 I've just updated AgilityCourses with a brand new feature I've wanted since I first dreamt up the web site: automatically drawing the best paths for the dog through a sequence to challenge handlers during training. To make it more helpful I also wrote software to animate them! Written by saschwarz on Feb. 14, 2015 .